"Modesto" redirects here. For other uses, see Modesto (disambiguation). 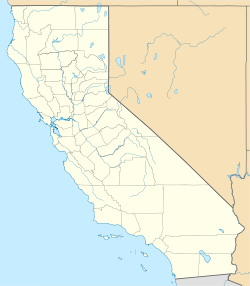 Modesto is located in the Central Valley, 90 miles (140 km) north of Fresno, 40 miles (64 km) north of Merced, California, 92 miles (148 km) east of San Francisco, 68 miles (109 km) south of the state capital of Sacramento, 66 miles (106 km) west of Yosemite National Park, and 24 miles (39 km) south of Stockton. Modesto has been honored as a Tree City USA numerous times. It is surrounded by rich farmland; Stanislaus County ranks sixth among California counties in farm production. Led by milk, almonds, chickens, walnuts, and corn silage, the county grossed nearly $3.1 billion in agricultural production in 2011. The farm-to-table movement plays a central role in Modesto living as in the Central Valley. The City of Modesto was originally a stop on the railroad connecting Sacramento to Los Angeles. When Modesto was founded in 1870, it was to be named Ralston after financier William C. Ralston. Ralston's modesty prompted him to ask that another name be found, and the town was named Modesto in recognition of his modesty. Modesto's population was over 1,000 residents in 1884. With fields of grain, a nearby Tuolumne River for grain barges, and railroad traffic, the town grew. Irrigation water came from dams installed in the foothills, and irrigated fields of vegetables and fruit and nut trees flourished. By 1900, Modesto's population was over 4,500. During World War II, the area provided canned goods, powdered milk, and eggs for the US armed forces and Allied forces. For the next few decades, Modesto's population grew about two percent per year to over 100,000 in 1980, and over 200,000 in 2001. The city's official motto, "Water Wealth Contentment Health," is emblazoned on the downtown Modesto Arch, which is featured in local photographs and postcards. The motto was selected in a contest held in 1911, where the winner won $3 as his prize. (The original winner, "Nobody's got Modesto's goat", was later declined by town officials.) Modesto's motto is sometimes spoofed as "The land gets the water, the bankers get the wealth, the cows get contentment, and the farmers get the health." McHenry Mansion – Built in the early 1880s by Robert McHenry, a local rancher and banker. The mansion is included on the National Register of Historic Places. Tours are given. George Lucas Plaza – American Graffiti-inspired bronze statue made in honor of Modesto filmmaker George Lucas, located at Five Points (the intersections of McHenry Avenue, "J" Street, 17th Street, Downey and Needham). Gallo Center for the Arts – Center for the performing arts opened in 2007 and is located in downtown Modesto at 1000 "I" Street. Downtown Modesto – Known for having a variety of restaurants and night life, including 3 weekly farmer's markets. It also hosts a multi-venue Art Walk year-round on the third Thursday of the month, free to view with maps available. The State Theatre – Dating back to the 1920s, it was recently renovated and serves as a local performance arts center and as a theater specializing in independent and foreign films. John Thurman Field – The stadium renovated several years ago, the home of the Modesto Nuts baseball team (single "A" affiliate of the Seattle Mariners team). The 1973 film American Graffiti, starring Ron Howard, Richard Dreyfuss, and Cindy Williams, was set in 1962 Modesto; however, the scenes of weekend cruising were actually filmed in Petaluma, California. The McHenry Mansion is a restored historic home located at Fifteenth and I Streets. The McHenry family built the house in 1883. The mansion was listed on the National Register of Historic Places (NRHP) in 1978. The U. S. "El Viejo" Post Office is located on Twelfth and I Streets. Wall murals inside the post office were painted by Ray Boynton, a Work Projects Administration artist. The post office was listed in the NRHP in 1983. Modesto is served by one of the busiest rail corridors in the country. The Amtrak San Joaquin makes eight daily stops on the route between Oakland and Bakersfield, and four stops daily on the route between Sacramento and Bakersfield. Modesto is served by the Modesto City-County Airport that lies east of California State Route 99 within the city limits. SkyWest Airlines (operating as United Express) provided air service to San Francisco International Airport, however commercial service stopped in June 2014. The airport is used for manufacturing and the shipping industries throughout California and the United States. Interstate 5 and California State Route 99 provide major highway access to Modesto. California State Route 132 links the city to Interstate 580, providing commuter access to highways into the Bay Area. California State Route 108 connects to Oakdale, California and east to the foothills. The city has added many roundabouts in an effort to ease traffic congestion within the town with varying degrees of success. Three public transit systems serve Modesto: Modesto Area Express (MAX), StaRT, and the San Joaquin Regional Transit District along the northern edge of the city on McHenry Avenue. MAX is the local system with additional connections to the Altamont Corridor Express train station in Lathrop and the Dublin/Pleasanton BART station. MAX also provides a paratransit "dial-a-ride" service which specifically caters to seniors and the disabled. It is open to the general public only during certain times. StaRT connects Modesto to the county's other populated centers. Modesto also will be served by the future California High Speed Rail. The large industrial region south and east of the city is served by the Modesto and Empire Traction Company, a 5-mile (8.0 km) short line railroad, with a web of industry tracks and many customers. At one time, Modesto was the operational center of the Tidewater Southern Railway, which had its main line down the center of Ninth Street, a major north-south street. A city ordinance passed by the city council kept electric power lines over this section of street activated long after the railroad had converted to steam power. In 2000, the last trains ran down Ninth Street. Now the railroad (owned by the Union Pacific Railroad since 1983) no longer passes through Modesto. Modesto has a semi-arid climate (BSh in the Köppen climate classification) It has mild winters with moderate rainfall and long, hot, dry summers. Average January temperatures range from 56 °F (13 °C) in the day to 40 °F (4 °C) at night. Most of the rainfall occurs during the winter and the annual total is 13.2 inches (335 mm). The city does not have a full storm sewer system, many streets flood during winter rain storms. Although the city is located on the Tuolumne River and near the Stanislaus River, it has no operating port for oceangoing ships due to the shallow depths of these rivers, and also due to a small dam on the Tuolumne River near Highway 99. In Modesto there is also a small creek aptly named Dry Creek, which although badly polluted by agricultural runoff, is adjacent to several parks in Modesto. Most of the rivers and streams are otherwise not accessible to public use or view due to fences and private property rights. There are no public boat ramps or docks within the city limits. Although summertime brings high temperatures, swimming is prohibited by local ordinance in rivers, creeks, and the many irrigation canals. Rivers and lakes near Waterford are wide enough to be accessible for a kayak, or small motorboat, and there are several points of public access. This access was given as part of a government plan when hydroelectric power dams were installed upstream for valuable flood control, irrigation, and electric power generation. The nearest large open seaport is the Port of Stockton, used for oceangoing ships that transport goods, particularly cement, fertilizer, and agricultural products, from California to overseas. Modesto has a large agricultural industry which is based on the fertile farmland surrounding the city. Modesto is home to the largest winery in the world: E & J Gallo Winery. The Gallo Glass Company, a company of Gallo Winery, is the largest wine bottle manufacturing company in the world. The company provides thousands of office and manufacturing jobs to Stanislaus County residents. Other major privately owned companies based in Modesto include Foster Farms Dairy, Royal Robbins, international award winner Fiscalini Cheese, Sciabica Olive Oil, Acme Construction, Aderholt Specialty, and 511 Tactical (formerly a part of Royal Robbins, a United States brand of clothing consisting of uniforms and tactical equipment for military). A cannery downtown produces food which is usually shipped to Sacramento and Fresno for transfer to rail or ship. Ceres has a few cereal and snack factories in the area. There are several small steelworking companies in Modesto. In mid-2008, a number of road projects were being constructed, repaved or repaired, with an estimated total cost of nearly $120,000,000. Rates of both violent crimes and property crimes are higher in Modesto than the state average. Of particular note is that Modesto ranks among the top car theft cities in the US. As of 2012[update], Modesto ranked number 1 for car theft rate per 100,000 people, although they dropped to number 3 in 2013, behind Bakersfield and Fresno. Modesto is also home to many street gangs. The Stanislaus County Gang Intelligence Task Force estimates there to be 5,000 to 10,000 gang members. Amtrak intercity rail is provided by San Joaquin services directly at Modesto station on the east side of the city. A separate Altamont Corridor Express commuter rail station is planned to be constructed for service in 2023. In the late 1980s Modesto embarked on an update to the city's general plan pursuant to requirements of the State of California. The result was a comprehensive evaluation of alternative population and land use projections along with associated environmental impact analysis. Some of the environmental factors technically assessed were air quality, water quality, environmental noise, soil contamination and visual impacts. Much of the soils in Modesto are classified as part of the Hanford series: (HbpA) fine sandy loam, moderately deep over silt. These soils are well-drained, moderately coarse-textured soils derived from alluvium from granitic rock. The Hanford soils are important for the production of a wide variety of irrigated orchard, field, and truck crops. Vicinity watercourses include the Stanislaus River, the Tuolumne River and Dry Creek empties into the Tuolumne River. Area groundwater, which is the principal source of water supply in the city, has been historically impaired in a fashion that is spatially variable. Water from the nearby Modesto Resovoir is now used to augment city water. In various parts of the city and its perimeter the following water pollutants have occurred from time to time: nitrates, dibromochloromethane, volatile organics, salinity, total dissolved solids and other pesticides. Each of these contaminants is not present citywide. The EPA rates air quality in Modesto as a 23 on a scale to 100 (higher is better), making Modesto an unhealthy place to live for those with breathing difficulties. This is based on ozone alert days and number of pollutants in the air. In May 2010, Forbes magazine, in association with the American Lung Association, indicated that Modesto was one of the top 25 most polluted cities in the U.S.
As of the 2000s, downtown Modesto (DOMO) has been thoroughly modernized, including new attractions such as Gallo Center for the Arts and the new Downtown Plaza adjacent to Modesto Centre Plaza. Downtown Modesto has lost some of its old-time flavor with the loss of the Hotel Covell, the incredible art deco Strand Theatre, and the Sears building, but it has improved traffic flow considerably. The Modesto Nuts Minor League Baseball Club of the class A California League is the main attraction for locals between Easter and Labor Day. The Nuts are the Single A affiliate of the Seattle Mariners and play 70 home games each season. For 67 years, Modesto was a hotbed for track and field competition as host of the Modesto Relays each May, sponsored most of the years by local produce company S&W Foods. The creation and lifetime project of meet director Tom Moore, 30 world records were set at the meet held at Modesto Junior College. In the past 10 years, Modesto has hosted many music festivals such as SummerFest, the Downtown summer concert series, featuring Chris Isaak, Hootie & the Blowfish, The Doobie Brothers and Styx. X-Fest, deriving from its real name Xclamation Festival, is a 21 and over music festival in downtown Modesto. Starting in 2000, X-Fest has evolved into a large outdoor event stretching 15 blocks and featuring the world's largest disco which covers four blocks on its own. In 2008 X-Fest featured 50 bands and a crowd of 15,000 people. Much of the profits end up in local non-profit charities. Some business owners and citizens of Modesto complain of rowdy and often drunk Mardi Gras atmosphere exhibited at X-fest. Events like these may have helped propel Modesto to be ranked, in Feb. 2010 by Men's Health magazine, as the 12th drunkest city in America, based on alcohol-related deaths, DUI and other arrests. The last X-fest occurred in Modesto in 2015. Summers in Modesto are also marked by the revival of American Graffiti, the 1973 film written and directed by Modesto native George Lucas. Lucas' film paid homage to teenage life in 1962 based on his own experiences growing up in the city of Modesto. The city council refused to let the film be shot in Modesto, so he was forced to make the film elsewhere. The city has since realized the importance of its connection to the award-winning film, and the city is preparing new tourist attractions and events to welcome Graffiti tourists. The Modesto Convention and Visitors bureau report that the leading request for information is American Graffiti-related. The annual festival, Graffiti Summer, celebrates this event and lasts the entire month of June, attracting thousands of visitors and car enthusiasts along with hundreds of classic and antique cars. The Modesto Symphony Orchestra, which finds its home at the Gallo Center, held their first performance when Modesto had a population of 17,000 in 1931 and continues to be a staple in the community. Not to be outdone by the Symphony, MoBand (Modesto Band of Stanislaus County), established in 1919, is one of the oldest, continuously performing bands in the U.S. The group performs a free 6-week summer concert-in-the-park series with its 130 volunteer musicians. The 2010 United States Census reported that Modesto had a population of 201,165. The population density was 5,423.4 people per square mile (2,094.0/km²). The racial makeup of Modesto was 130,833 (65.0%) White, 8,396 (4.2%) African American, 2,494 (1.2%) Native American, 13,557 (6.7%) Asian (1.5% Filipino, 1.3% Asian Indian, 1.2% Cambodian, 0.7% Chinese, 0.6% Vietnamese, 0.5% Laotian, 0.2% Japanese, 0.2% Korean, 0.1% Hmong, 0.1% Pakistani), 1,924 (1.0%) Pacific Islander, 31,244 (15.5%) from other races, and 12,717 (6.3%) from two or more races. Hispanic or Latino of any race were 71,381 persons (35.5%): 30.8% Mexican, 0.7% Puerto Rican, 0.6% Salvadoran, 0.5% Spaniard, 0.4% Spanish, 0.3% Nicaraguan, and 0.2% Guatemalan. Non-Hispanic Whites were 49.4% of the population in 2010, down from 83.1% in 1980. There were 69,107 households, out of which 27,152 (39.3%) had children under the age of 18 living in them, 33,230 (48.1%) were married couples living together, 10,774 (15.6%) had a female householder with no husband present, 4,904 (7.1%) had a male householder with no wife present. There were 5,177 (7.5%) unmarried. 15,887 households (23.0%) were made up of individuals and 6,221 (9.0%) had someone living alone who was 65 years of age or older. The average household size was 2.87. There were 48,908 families (70.8% of all households); the average family size was 3.38. In September 2010, the UCLA Center for Health Policy Research released a study indicating that 32% of the population was obese vs. a statewide average obesity rate of 22.7%. Poverty was one of the factors listed as contributing to the high obesity rates. As of the census of 2000, there were 188,856 people, 64,959 households, and 46,640 families residing in the city. The population density was 5,277.3 people per square mile (2,037.4/km²). There were 67,179 housing units at an average density of 1,877.2 per square mile (724.7/km²). The racial makeup of the city was 69.6% White, 25.6% Hispanic or Latino, 4.0% African American, 1.2% Native American, 6.0% Asian, 0.5% Pacific Islander. There were 64,959 households out of which 38.7% had children under the age of 18 living with them, 51.5% were married couples living together, 14.7% had a female householder with no husband present, and 28.2% were non-families. 22.5% of all households were made up of individuals and 8.6% had someone living alone who was 65 years of age or older. The average household size was 2.86 and the average family size was 3.36. Residents of Modesto also participate in the Government of Stanislaus County and elections for Stanislaus County Board of Supervisors district 1 as well as the Sheriff-Coroner, District Attorney, Assessor, Auditor-Controller, Treasurer-Tax Collector, and Clerk-Recorder. As of January 2013 these were represented by Supervisor William O'Brien, Sheriff-Coroner Adam Christianson, District Attorney Birgit Fladager, Assessor David Cogdill Sr., Auditor-Controller Lauren Klein, Treasurer-Tax Collector Gordon Ford, and Clerk-Recorder Lee Lundrigan. In the California State Senate, Modesto is split between the 5th Senate District, represented by Democrat Cathleen Galgiani, and the 12th Senate District, represented by Democrat Anna Caballero. In the California State Assembly, Modesto is split between the 12th Assembly District, represented by Republican Heath Flora, and the 21st Assembly District, represented by Democrat Adam Gray. In the United States House of Representatives, Modesto is in California's 10th congressional district, represented by Democrat Josh Harder. Modesto City Schools was established for students in the community in 1871. The current enrollment is approximately 32,000 students. The district operates 23 elementary schools (K-6), four junior high schools (7–8), seven comprehensive high schools (9–12), and an alternative education program that includes an opportunity and continuation school, independent study and adult evening high school. The seventh comprehensive high school, Joseph Gregori High School, was recently completed. Modesto's oldest high school, Modesto High School, also offers an International Baccalaureate program, and is the only high school in Stanislaus County accredited for this program. There are other elementary school districts within and adjacent to the limits of Modesto City Schools that feed into the high schools. They include Sylvan Union (serving the eastern portion of Modesto), Stanislaus Union and Hart-Ransom. Modesto Christian School (K–12), Central Catholic High School, Our Lady of Fatima Catholic School,St. Stanislaus Catholic School, Big Valley Christian School, and Grace Lutheran School are private religious schools located in Modesto. ULCO Seminary (U.S.A.) has its international headquarters in Modesto. Modesto Junior College is a two-year junior college in Modesto and has over 20,000 students enrolled and 21 inter-collegiate sports teams. Community Business College, vocational college in Modesto providing vocational training and job placement services to the unemployed with non-profit tuition scholarships. Offers training in medical office, bookkeeping, property management, foreign languages, medical coding and solar technologies. Evin Agassi, a prominent Assyrian American singer who has settled in the city in the 1970s. Chidi Ahanotu, former NFL player. Won a ring in Super Bowl XXXIV. Jack Angel, voice actor: Teddy in A.I. Artificial Intelligence, AstroTrain in Transformers films, Nikki in Balto. Sonny Barger, Oakland chapter founder of the Hells Angels Motorcycle Club. Nick Bassett, multi-instrumentalist (bassist of Nothing, guitarist of Whirr), film and television composer. Eric Bell, former MLB pitcher. Tony Boselli, football player, University of Southern California, second pick in 1995 NFL Draft by the Jacksonville Jaguars, five-time Pro Bowler and three-time first-team All-Pro; born in Modesto. Shawn Boskie, former MLB player; played his junior college ball at Modesto Junior College. Lincoln Brewster, Christian musician and worship pastor, attended Grace M. Davis High School. Esto Bates Broughton, one of the first women to serve in the California State Assembly. Erin Cafaro, 2008 Olympic gold medalist for women's eight crew; graduate of Modesto High School, Class of 2001. Carol Channing, three-time Tony Award-winning actress and singer. Joe Dillon, MLB player for the Florida Marlins, Milwaukee Brewers, and Tampa Bay Rays. James Broughton (1913–1999), poet and poetic filmmaker. Jack Elam (1919–2003), actor, epitome of the "bad guy" in western films; attended Modesto Junior College and had a brother who taught there. Chris Evans and his young partner John Sontag, notorious train robbers, operated a livery stable in Modesto in early 1890s. Jim Fairchild, musician, guitarist, songwriter of Grandaddy, All Smiles and Modest Mouse. Ernest Gallo and Julio Gallo, winemakers. Don Gile, former MLB player. Tony Graziani, Philadelphia Soul quarterback, graduate of Thomas Downey High School. Chuck Hayes, basketball player, Kentucky, Houston Rockets, Sacramento Kings and Toronto Raptors. Lester Hayes, football player, Oakland Raiders. Kirby Hensley, founder of the Universal Life Church. J.P. Howell, pitcher for the Los Angeles Dodgers. Brad Kilby, former MLB pitcher. Jason Jimenez, former MLB player. Ray Lankford, St. Louis Cardinals outfielder, graduate of Grace M. Davis High School. Chandra Levy, intern at Federal Bureau of Prisons in Washington D.C., whose 2001 disappearance was a major news story. George Lucas, film director, producer, screenwriter, studio mogul, graduate of Thomas Downey High School, and former student at Modesto Junior College. Jason Lytle, musician, songwriter of indie-rock bands Grandaddy and Admiral Radley. Roger Maltbie, golfer and television sportscaster, born in Modesto. James Marsters, actor, graduate of Grace M. Davis High School. Kerry McCoy, musician, guitarist and member of Deafheaven. Jason McDonald, former MLB player. Michael McDonald, top-ranked bantamweight professional MMA fighter, competing for Ultimate Fighting Championship. Graduate of Grace M. Davis High School. Joan Mitchell, co-inventor of the JPEG digital image format. Shane Minor, country music artist. Boaz Myhill, West Bromwich Albion and Wales goalkeeper (birthplace). Reeves Nelson, professional basketball player. Travis Oates, actor, director, voice actor (voice of Piglet in Winnie the Pooh animated film and television show), script writer. Timothy Olyphant, actor, Deadwood and Justified, 1986 graduate of Fred C. Beyer High School. Ashley and Courtney Paris, WNBA basketballers. Heath Pearce, professional soccer player for New York Red Bulls in Major League Soccer, graduate of Peter Johansen High School. Suzy Powell-Roos, three-time track and field Olympian and American record holder in women's discus, graduate of Thomas Downey High School. Harve Presnell, Golden Globe Award-winning actor and singer, The Unsinkable Molly Brown, Saving Private Ryan, Fargo, born in Modesto in 1933, graduate of Modesto High School. Jeremy Renner, Academy Award-nominated actor, The Hurt Locker, American Hustle. Graduate of Fred C. Beyer High School. Kenny Roberts, three-time FIM 500 cc Grand Prix motorcycle racing champion, two-time AMA Dirt Track Grand National Champion. Royal Robbins, iconic rock climber. Founder of Royal Robins clothing line which spun off to the 5.11 clothing line. Mark Spitz, nine-time Olympic swimming gold medalist. Byron Storer, former NFL fullback. Florence Owens Thompson (1903-1983), subject of iconic Great Depression photograph Migrant Mother by Dorothea Lange, settled in Modesto in 1945. Ann Veneman, 27th Secretary of the Department of Agriculture. Tisha Venturini, member of gold medal U.S. women's national soccer team at 1996 Olympic Games; from Grace M. Davis High School. Ashley Walker, basketball player, attended Grace M. Davis High School, star player on UC Berkeley women's team 2005–2009, plays professionally overseas. Paul Wiggin, former NFL player. Carter Williams, professional kickboxer, boxer and mixed martial artist, former North American muay thai champion and K-1 World GP in Las Vegas tournament champion. Gene Winfield, Legendary Hot Rod Builder, automotive designer, movie car designer. Also known as "The King Of Kustoms"
Derrick Barry, Drag Queen, Britney Spears Impersonator, Rupaul's Drag Race Season 8 Contestant. The first season of ABC's drama American Crime is set in Modesto. The 1973 film American Graffiti is set in Modesto. "Modesto" is the name of a song by Beck, from his Stereopathetic Soulmanure album. "St. Modesto" is a song by Chris Walla from his Field Manual album. The 2009 film Janky Promoters is set in Modesto. Central Valley (California) for general information about the region. ^ "Newsroom – Press Releases". City of Modesto. February 21, 2012. Retrieved December 10, 2014. ^ a b "Modesto, CA Code of Ordinances [codes] – ARTICLE IV. – Form of Government". Municipal Code Corporation. Retrieved December 30, 2014. ^ "Modesto City Council". City of Modesto, California. Retrieved October 23, 2014. ^ a b "City Manager's Office". City of Modesto. Retrieved March 25, 2015. ^ a b c "Modesto". Geographic Names Information System. United States Geological Survey. Retrieved May 12, 2014. ^ a b "American FactFinder". United States Census Bureau. Retrieved June 19, 2018. ^ City of Modesto IT. "City of Modesto – Newsroom – Press Releases". modesto.ca.us. Archived from the original on February 29, 2012. ^ "CA Farm Bureau - County Farm Bureaus". www.cfbf.com. ^ "State of Well Being" (PDF). Gallup-Healthways. ^ Levy, Francesca (November 30, 2009). "America's Best Bang-For-The-Buck Cities". Forbes. ^ Hoover, Mildred Brooke (2002). Historic Spots in California. Stanford University Press. p. 521. ISBN 978-0-8047-7817-6. ^ "Modesto Airport passenger service ends Wednesday". The Manteca Bulletin. June 2, 2014. Retrieved September 27, 2014. ^ "Dial-A-Ride Information". Modesto Area Express. ^ NOWData - NOAA Online Weather Data NOAA. Retrieved January 28, 2016. ^ "E&J Gallo Winery on the Forbes America's Largest Private Companies List". forbes.com. ^ "Modesto crime rates and statistics – NeighborhoodScout". neighborhoodscout.com. ^ "Top 10 cities for car thefts". ^ "Hot Spots 2013". nicb.org. Retrieved October 23, 2014. ^ Gangs thriving in Modesto, Modesto Bee, September 20, 2007. ^ Bureau of Soils (1964). Soil survey of ... Dept. of Agriculture. p. 81. ^ "List: Worst Cities For Ozone Pollution". Forbes. ^ "Gallo Center for the Arts". ^ "2010 Census Interactive Population Search: CA – Modesto city". U.S. Census Bureau. Retrieved July 12, 2014. ^ "Modesto (city), California". State & County QuickFacts. U.S. Census Bureau. Archived from the original on August 24, 2012. ^ "Selected Economic Characteristics, 2007–2011 American Community Survey 5-year Estimates". ^ a b "City of Modesto CAFR" (PDF). ^ a b c d e f g "City of Modesto Organizational Chart" (PDF). City of Modesto, California. February 29, 2016. Retrieved February 29, 2016. ^ "Community & Economic Development - Modesto, CA". www.modestogov.com. ^ "Communities of Interest – City". California Citizens Redistricting Commission. Retrieved October 18, 2014. ^ "Davis High grad returns for another crack at $1 million on 'The Amazing Race'". Modesto Bee. Retrieved July 24, 2017. ^ Millegan, Lisa (March 17, 2010). "Olyphant back with a badge". Modesto Bee. Retrieved June 6, 2010. ^ "In Jeremy Renner profile, London paper calls Modesto a cowtown". Modesto Bee. ^ "Mark Spitz". www.jewishsports.net. Retrieved August 31, 2008. ^ "AGUASCALIENTES". coordinacionpolitica.sre.gob.mx (in Spanish). Retrieved October 25, 2017. ^ "Foreign affairs activity". www.khmelnytsky.com (in Ukrainian). Retrieved October 25, 2017. ^ "Teens from Modesto's sister city in Japan sample Valley life". modbee. Retrieved October 25, 2017. ^ "Special Economic Development Committee/ Special City Council Workshop Meeting". Retrieved October 25, 2017. ^ "Sister Cities". City of Vernon. March 14, 2016. Retrieved October 25, 2017. ^ "US-India Sister City Relationships | Asia Matters for America by the East-West Center". www.asiamattersforamerica.org. Retrieved October 25, 2017. ^ "Modesto, États-Unis". Site Internet du/de la Ville de Laval (in French). Retrieved October 25, 2017. ^ "Modesto Sister Cities". modestosistercities.com. Wikimedia Commons has media related to Modesto, California.